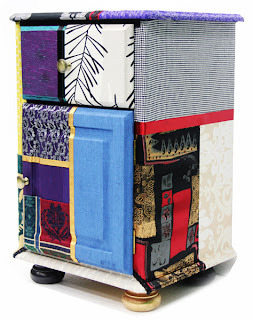 Upcycling furniture is a great way to spend an evening. Forget trawling the stores for new designs and pieces to make your home unique, create your own custom made upcycled furniture. With a little bit of elbow grease, a dash of love and some inspiration, you can transform the energy, look and feel of your home. Make your home a representation of your soul, when some one new enters your home they will get a feel of your personality. 1. Ladder. Use a ladder as a towel rail, paint with distressed finish to create a country living feel. 2. Old Books. 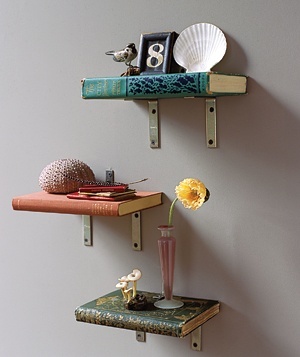 Create shelves with old books, add wooden bracket to each book and arrange vertically on wall. Screw book to bracket to secure and stabilize. 3. Suitcases. Gather up old suitcases, fill with cushions, add legs and use as seats. 4. Magazines. 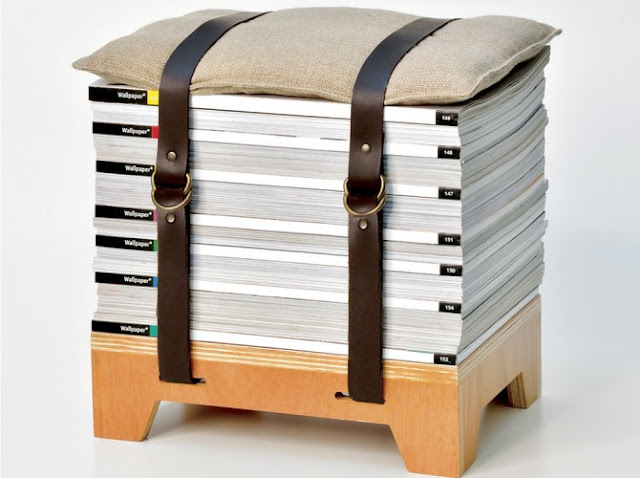 Layer old books or magazines, bind together with belt or ribbons, add cushion to use as stools. 5. 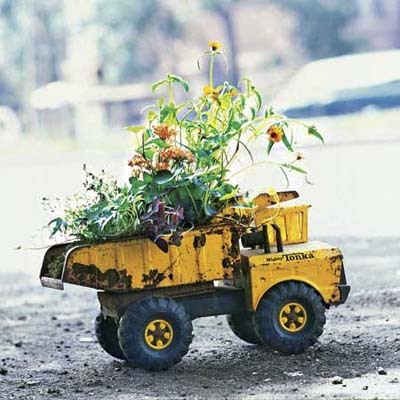 Upcycle Volkswagan Beetle. 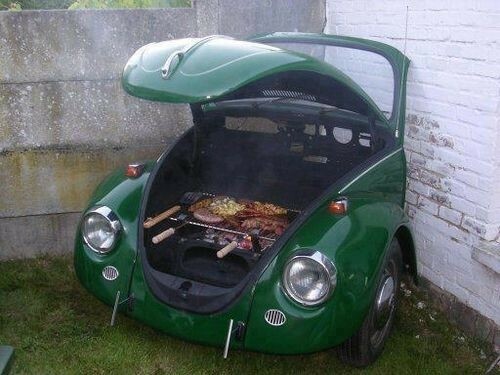 Saw old Beetle car in half (you might need some help with this project) use the front half in the garden as a barbeque. 6. 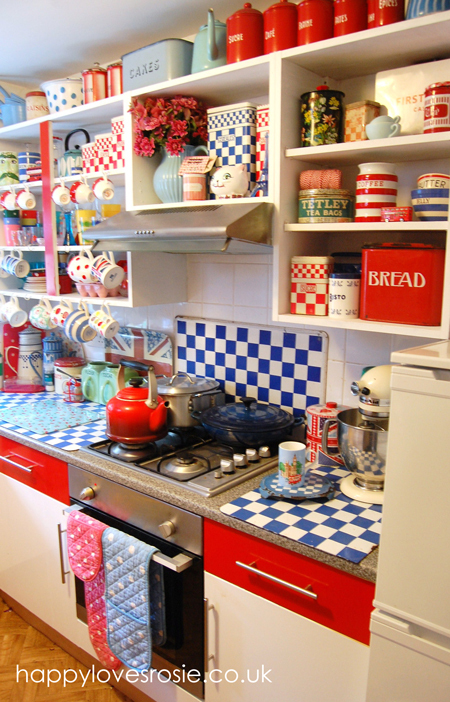 Filling Cabinets. Wallpaper filling cabinets and book shelves. 8. Bedroom Furniture. 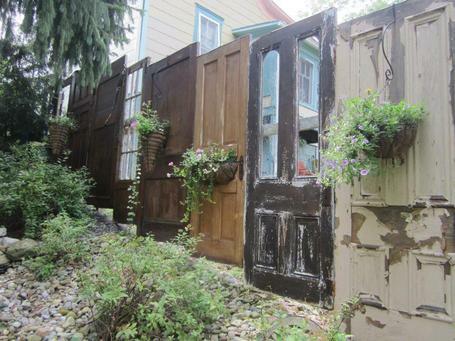 Create headboards with old doors. 9. Paint and Fabric. Covering pieces of furniture with fabric, paint, wall paper will quickly transform the look of the piece. 10. Suitcases. 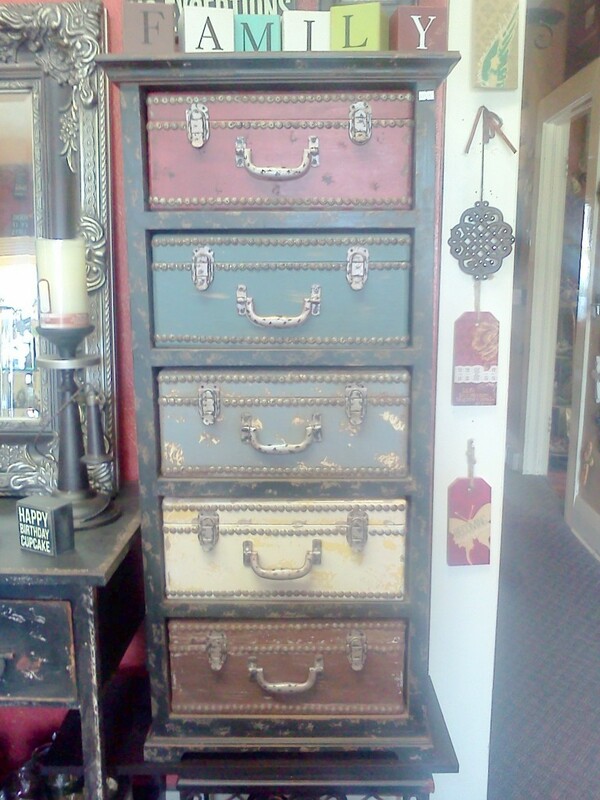 Use suitcases as drawers in a book shelf. 11. Pallets. 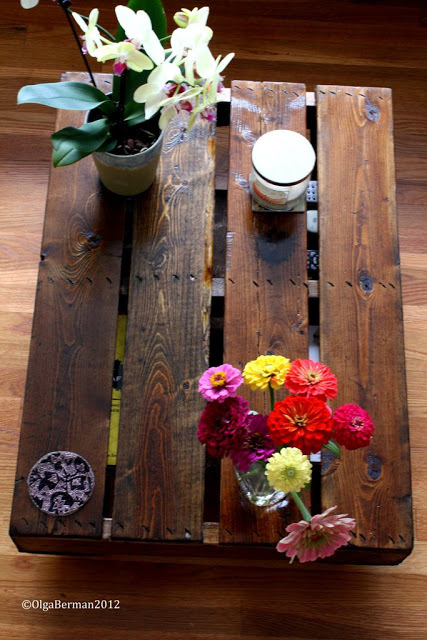 Pallets used as coffee tables. 12. Toys. Use as garden ornaments. 13. Beer Bottles and/or Jars. 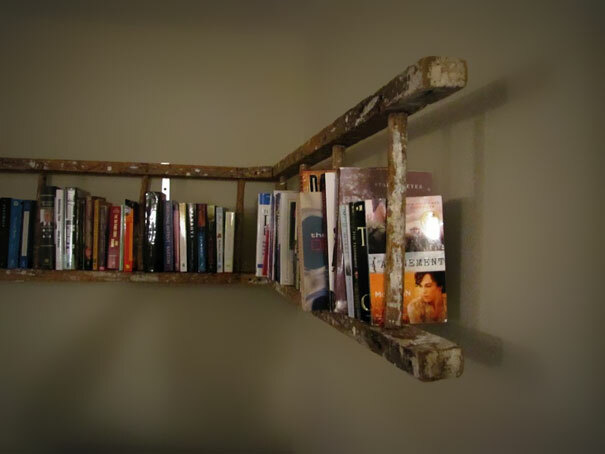 Use beer bottles to create a bookshelves. 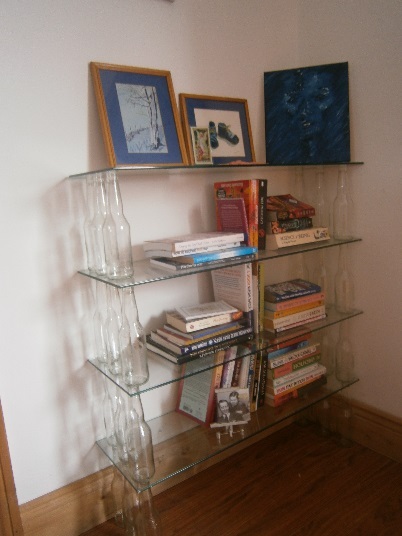 Stack beer bottles or glass jars, place glass shelf on top, hold secure with silicone and continue to stack. Looks good in a living room, bedroom or bathroom. 14. Tires. 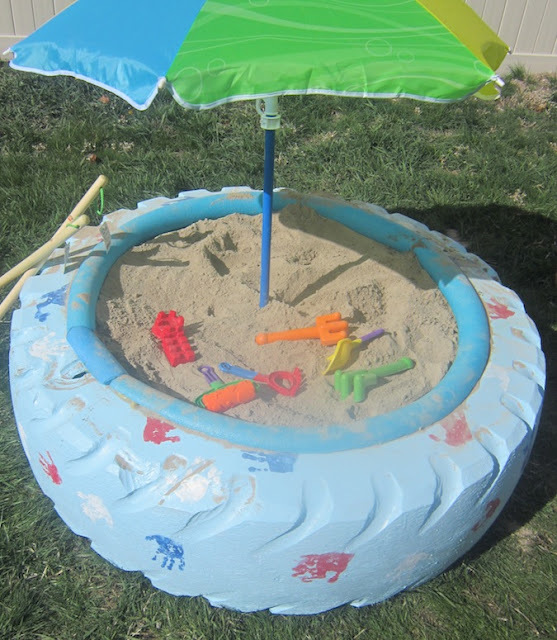 Paint tire and fill with sand. 15. Kitchen Units. 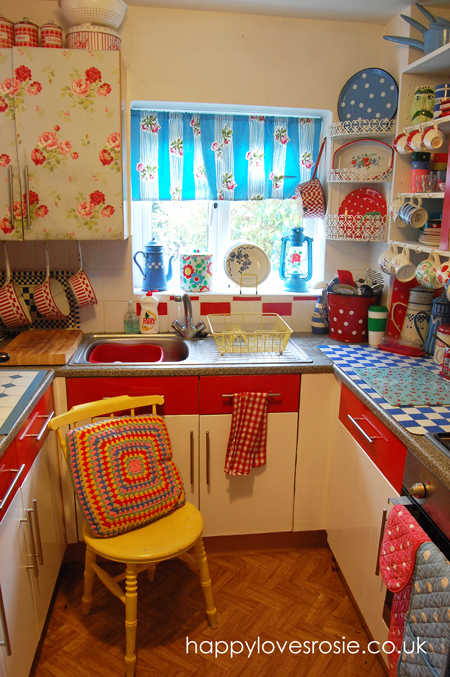 Paint kitchen units, add strips of wallpaper or images from magazines. Varnish with clear lacquer. Simple and effective for transforming kitchens. The goal is to start your creative juices flowing, many people think they are not creative but they are, the key is to take action. When you take action, more ideas will flow. Practice and build your confidence. Soon you will see the potential in everything.